Word .DOC Format. This is our long form comprehensive Personal Management Agreement from the Manager's Point of View. The Personal Manager plays a key role in developing the Artist's career. The Personal Manager should be well connected to the entertainment industry, with contacts at record companies, production companies, publishing companies, recording studios, television studios, booking companies, agents, advertisers, and more. This Agreement takes a percentage on the Artist's career in the entertainment industry, and not just for a single project (like an album or TV show). 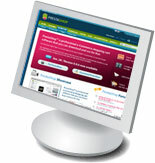 View the sample PDF file by clicking the 'Download' tab on the product's detail page. 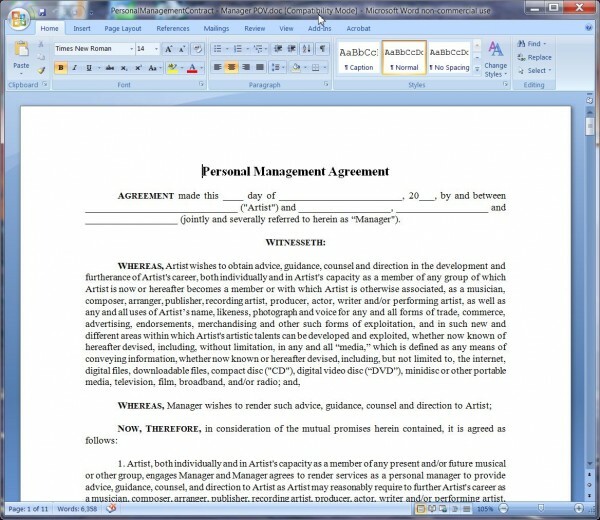 Personal Management Contract-Manager's Point of View-Long Form Sample in PDF Format.